After installing Harmony, configure the database parameters depending on your machine's setup and configure third-party software. 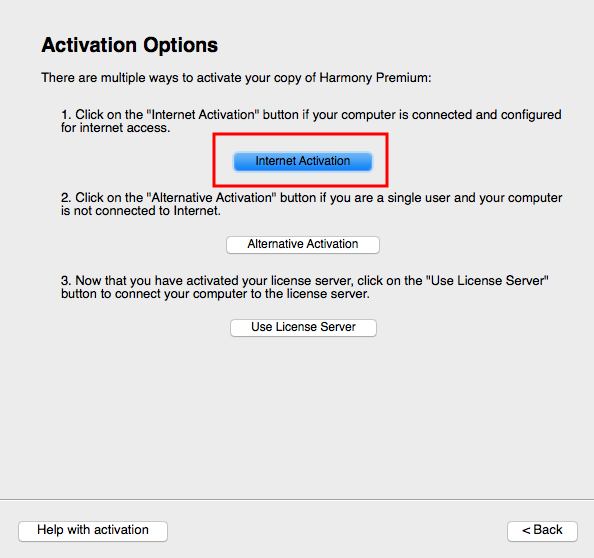 Now that you have installed Harmony, you must set up the licensing so it can run on the server and client machines. After installation, set up the database configuration for computers running Harmony. 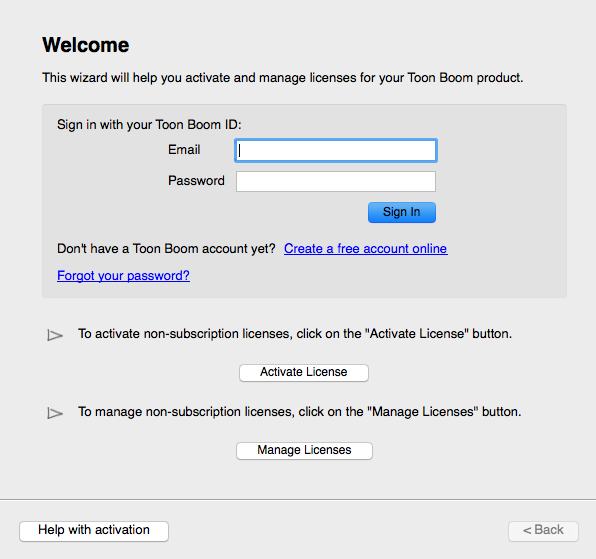 The Dbserver controls all interactions with the contents of the Toon Boom Harmony database. It processes all requests to open, read or update files, keeping track of locked files so they cannot be edited by anyone. Next, create and edit the Dbserver.conf file to set up the Dbserver. Then run a script to start it. Using a text editor, create the Dbserver.conf file in /USA_DB/. 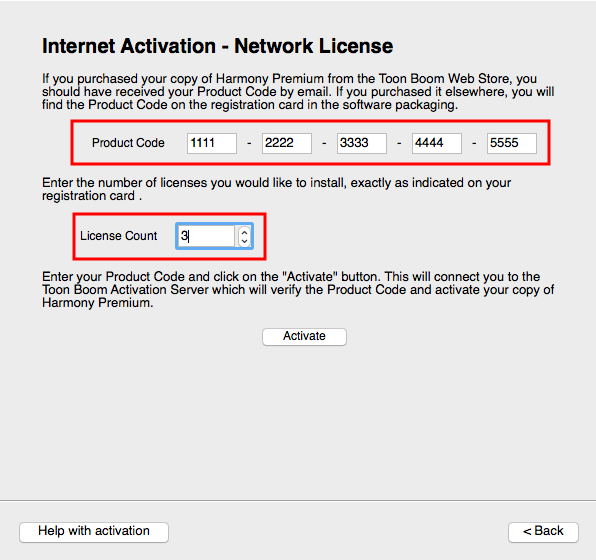 NOTE: You can find the example of Dbserver.conf in /usr/local/ToonBoomAnimation/harmony[edition]_12/resources/samples. You can copy and paste it from there and change it accordingly. Save and close the Dbserver.conf file. 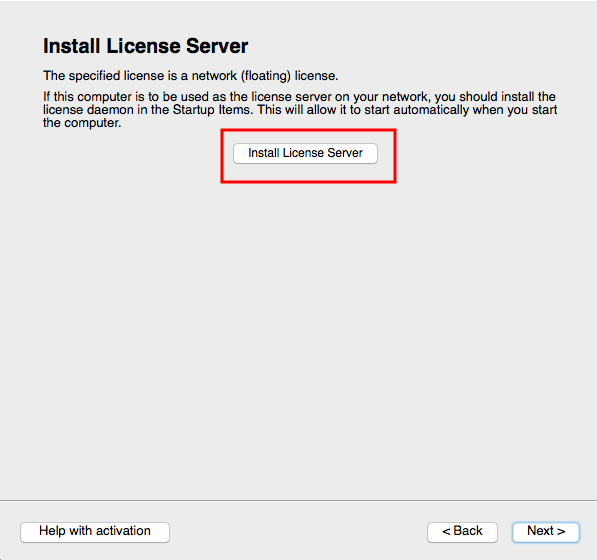 Change the permissions on the Dbserver.conf file to 644. A message appears in the shell indicating that the script was successful. A log file is generated in /tmp/tbdbserver.log. Verify the log file to ensure there are no errors written to the log. After you set up and start the license and Dbserver, you are ready to create the file system for the Toon Boom Harmony database. 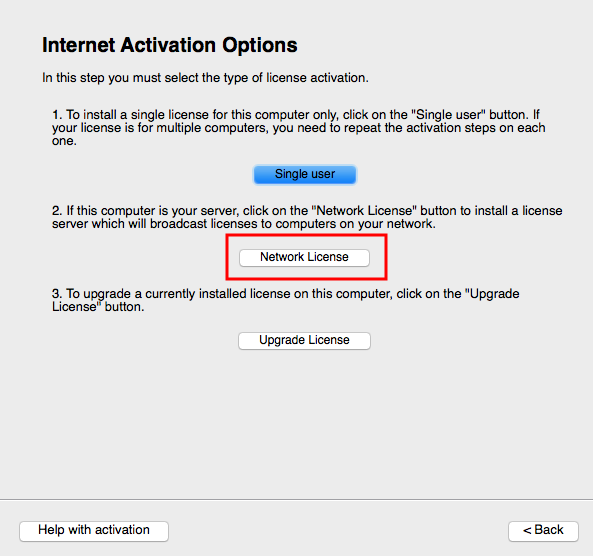 You are now ready to test your installation on the server/standalone machine.